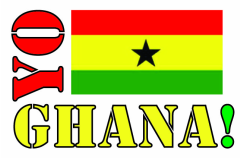 Yo Ghana unites students from Ghana and the Pacific Northwest through the art of letter exchange. Our program opens your student’s eyes to a culture unlike their own, transforming lives in and outside the classroom. Our program enables educators to be inventive and inspirational. Designed for students of primary to secondary school age, we enhance lesson plans, enrich classrooms, and foster new friendships between distinct cultures. our program here. Then contact us to begin. Beyond our program, we offer students in Ghana greater access to educational resources through grants and funding. Your donation furthers our efforts. Please consider a tax-deductible contribution today!